Nikita here, and today I am sharing what fancies me. While working on this challenge I realised that I have no particular style as such. I mean there is, but I don't know what to call it. Generally, it is somewhere in between CAS and 'All over the place' but sometimes it is clearly CAS (when I'm too lazy) or clearly all over the place (when I'm feeling particularly ambitious!) :P So today, I'm going to share with you a project that is a blend of both. 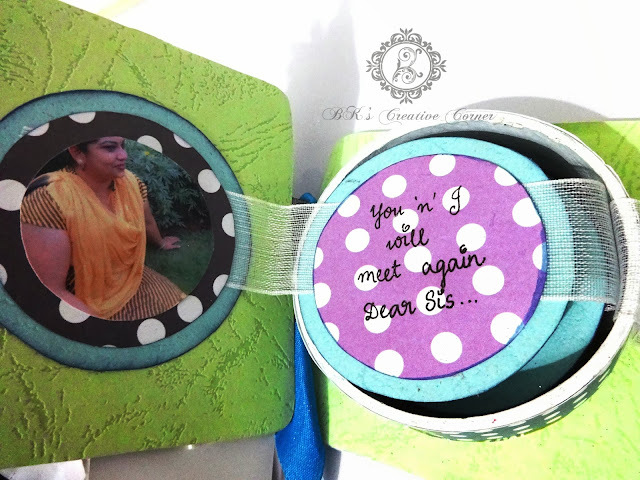 Lately, I have been making a lot of scrapbook pages, and I thought it would be apt to showcase that for my 'style.' 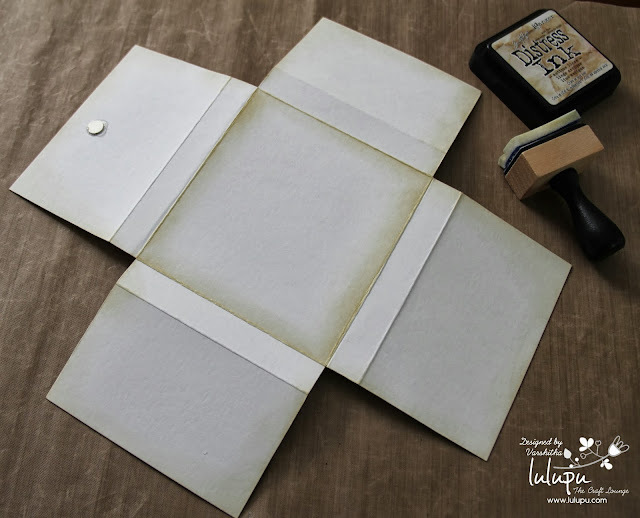 As for the technique, I am going to show you quite a few techniques that I use in both - card-making as well as scrapbooking. 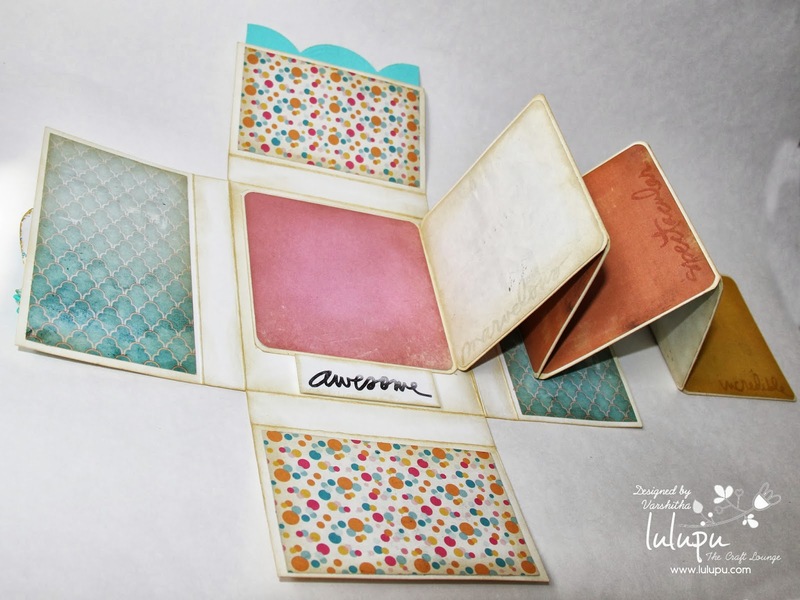 And when I said show, I really meant show you on video but as luck would have it, there's something called Carpal Tunnel (every crafter's dream! Yes, I am being sarcastic) that hasn't allowed me to edit the video (that I've been trying for the whole of this week) without a sharp pain shooting up my arm. So that will have to wait. :( I wish I could have told you it was my stupid internet connection, but that has been working just fine. Hope you are enjoying our new Challenge#16 Fancy Me. Since then, I have continued receiving full support & encouragement from my parents, my granny (who is an ingenious crafter too and used to help with my school projects ,and my best friend ,Russel who has been a constant guide to all my decisions and a critical observer of my work & not to forget my dear friends from my workplace and hostel !! To acclaim some specific genre as my forte I would say I love creating themes in 3Ds, and consider my each creation as a “Canvas” .I also love drawing and painting my own digis. To be honest, a lot of the time my inspiration comes from wanting things I cannot afford. Instead of buying expensive things I like, I find ways to make them myself. I believe, creativity is just looking at things differently! 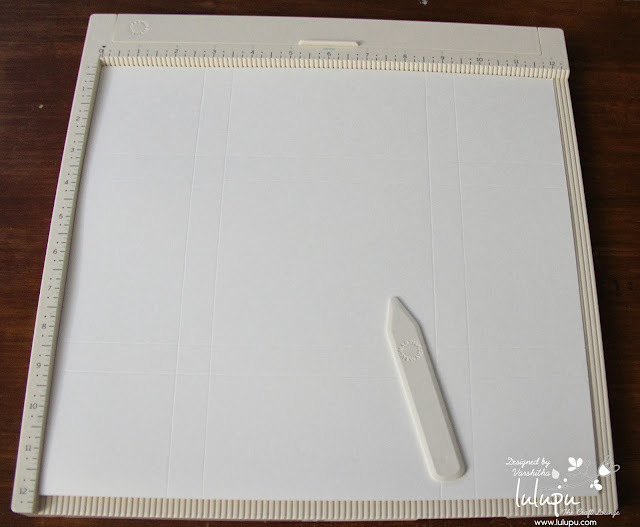 I am truly amazed to see so many ambitious and brilliant crafters in this magical crafty blogland, and I make it a point to learn something new from them each time and can proudly say have made a hell lot of crafter buddies J. And what else? 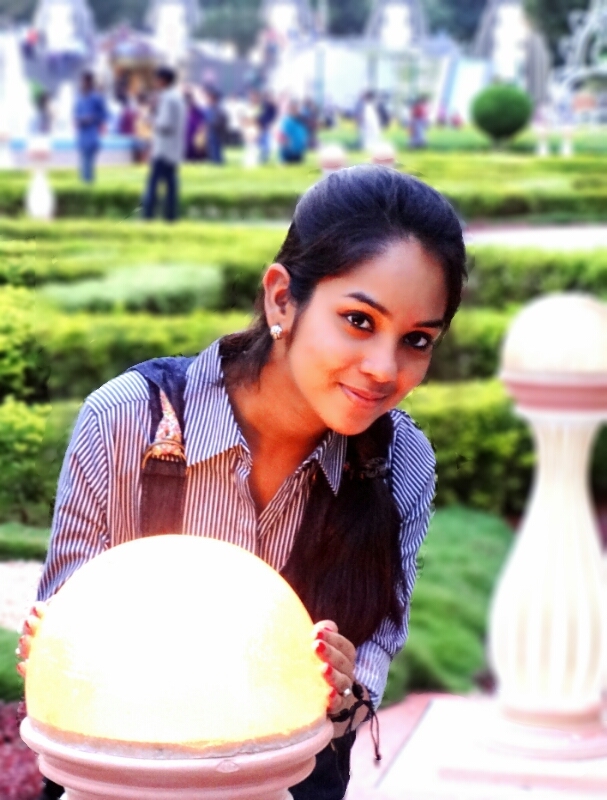 A lot of there is still to explore within me…J ! Lastly, my sincere thanks goes to Karuna and the super - awesome Lulupu team for selecting me as a Guest DesignerJ. And here is how you can try it too! Step 1: Take a spool and clean a bit. Step 2: Paint it with whatever color you desire. I chose white to paint. Step 3: Now time to use your old PP scraps ! Measure the side and cut your designer paper to the same width. Adhere to outside of ribbon spool. Step 4: I used ribbon to adhere my photos and to. I cut designer paper to the same size as my photos and sandwiched the ribbon in between the papers. I glued it the string of photos to the top of the box. To look at the photos you just pull and view! Step 5: I accordion folded the photos inside the box. Step 6: Embellish the top with lots of handmade flowers and bows and a farewell quote ofcourse! 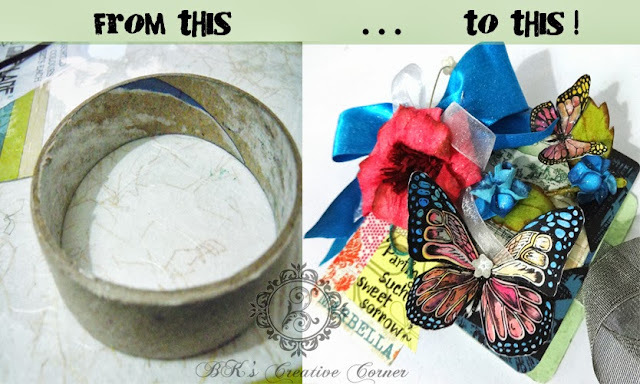 So, next time you have your empty spool, transform it into a cute recycled craft project! 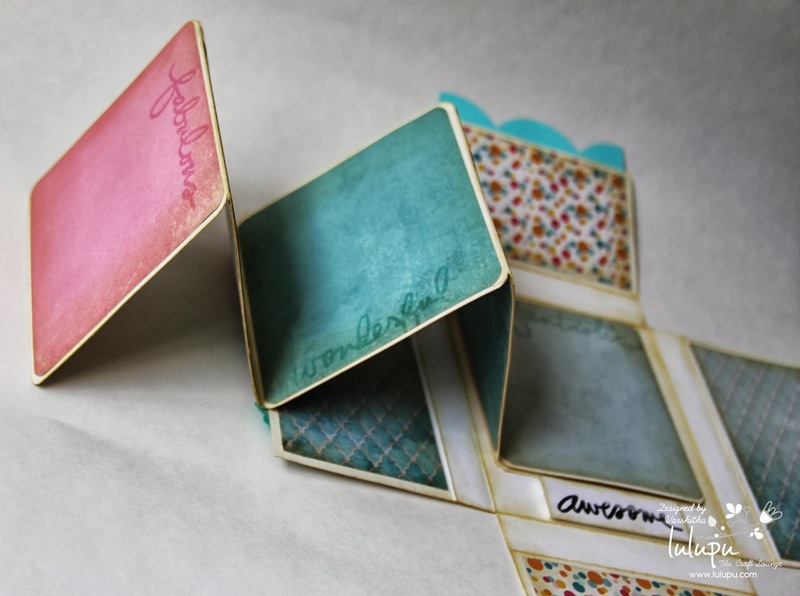 Creativity and pretty paper are all you need to make your own Double-Sided tape Spool Photo Album J ! Hope you like it .Happy Crafting!! 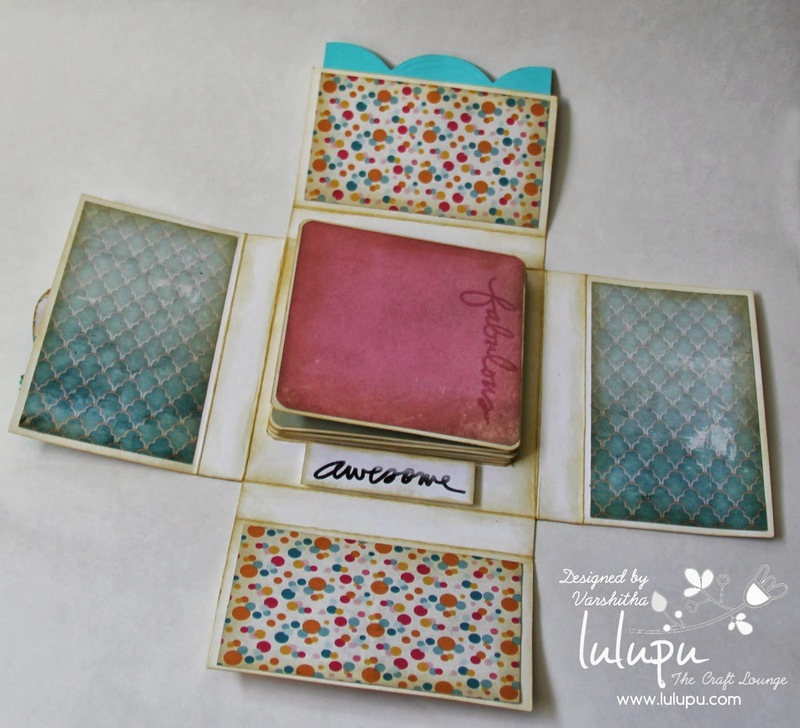 This is Ruthie following with the theme challenge 'Fancy Me' I bring to you a box gift card holder on Shabby Chic Style. I love CAS and Shabby Chic, I can do any style but those are my favorite. 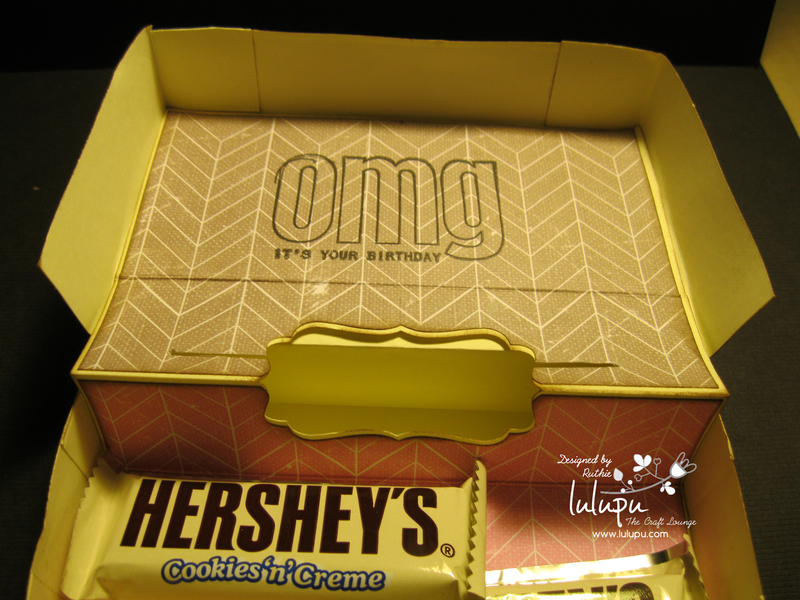 This box will become handy when you don't know what to give, it won't look simple because it's handmade.This is the top of the box, looks cute, isn't? Here is how the box looks open, as you can see you can put chocolates or candy inside and the gift card and the center. You can stamp also inside like I did. Here you can see the groove for the gift card. 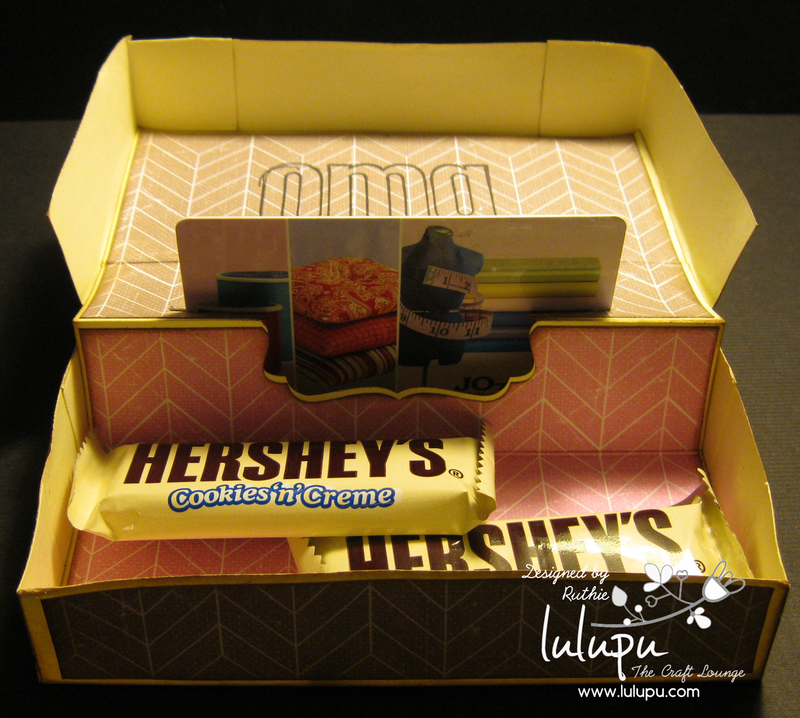 You can make it the size you want or need to put in the gift card. Don't forget to participate in or challenge 'Fancy Me'. 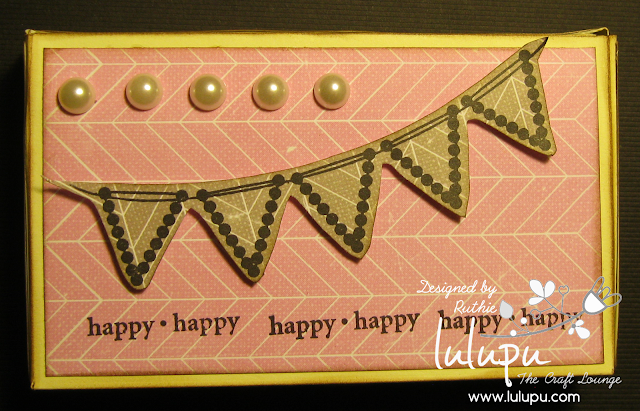 'Fancy Me' is this months fortnight's Lulupu's Challenge #17. 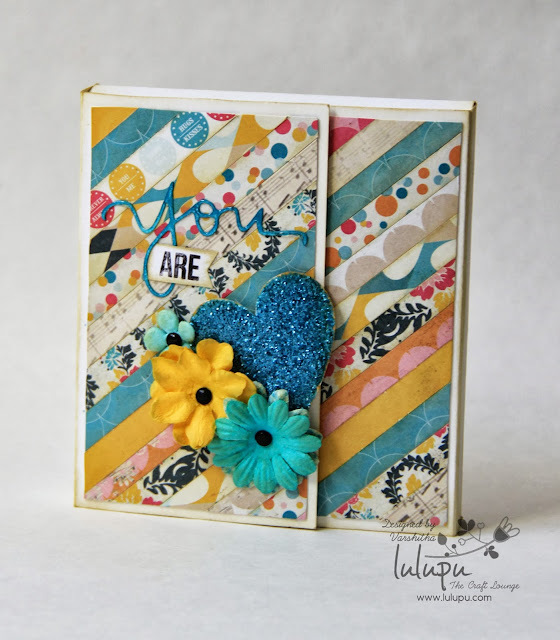 Like most of you I feel I really I don't follow any particular style as such, love to try all the styles in card making and stamping... 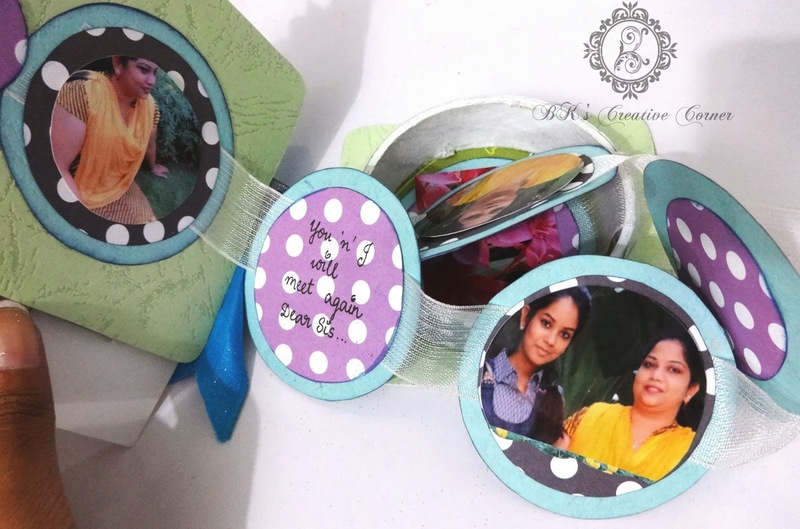 So thought of making it in a style which fancies me currently.... My recent craze is on Accordion Cards and Mini albums after i i was totally inpired by this idea by Erum from http://vibgyorkrafts.blogspot.in/. Her work it totally awesome and so very inspirational. I drew my idea from her and combined it and made a Memory Box card as i call it. Here it is.... 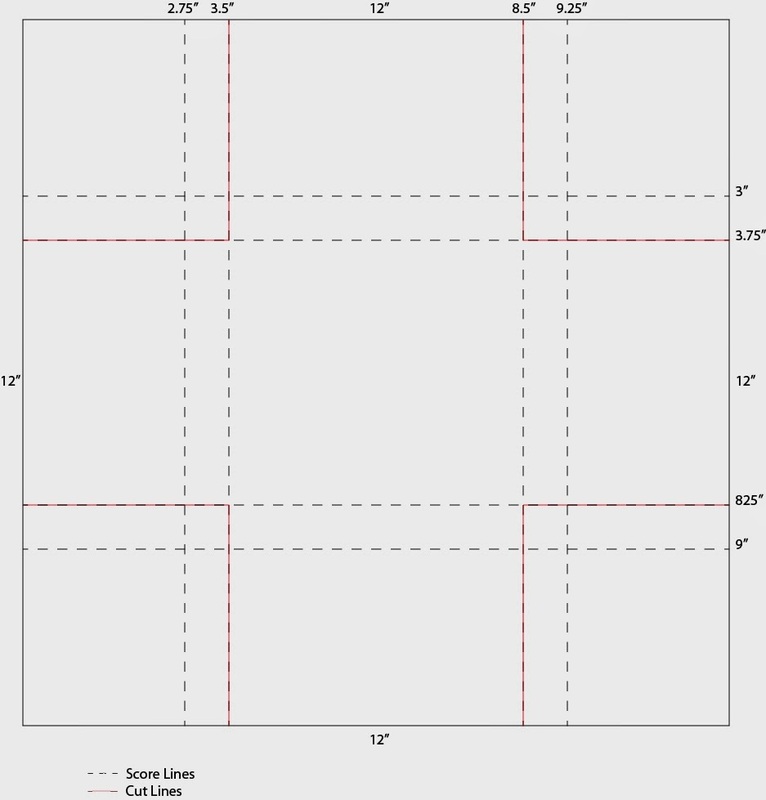 The Memory Box Card, Measuring 5"x4.5"x0.75". I started it by making the base box with just one 12x12 card stock and I am also showing you how I made the base box with the measurements. 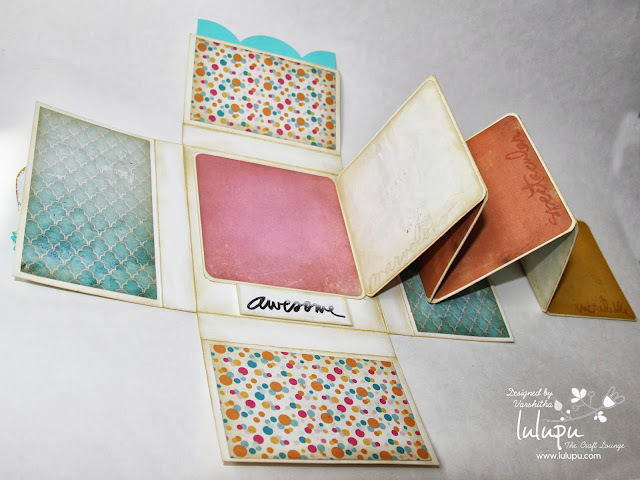 I Picked Glitz Uncharted Water paper pad for this, its such a lovely set of designer papers. I selected 4-5 sheets from the paper pad and trimmed some 0.4" strips and randomly glued it in a CS and used it for my outer cover... you can use your scrap papers too ,you ll get a amazing design to add in your projects.. I embellished the front cover with some flowers, distress glittered hearts and epoxy sentiment. The sentiment says "You Are". And all the closures I have magnetized used Basic Grey Magnetic Snaps. Here is the place to fill with memories. I made 4"x4" accordion pages and adhered some PP from the same collection and I also used Technique Tuesday Incredible Stamp set for my project, heat embossed in the alternative pages in the accordions. 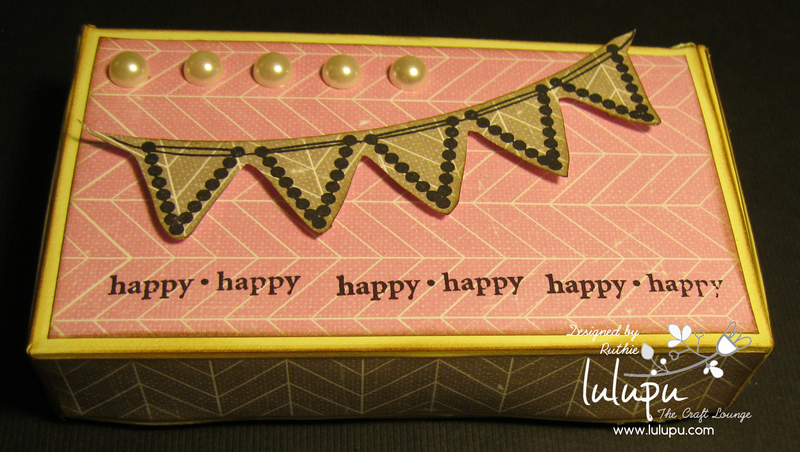 Distress Inked All the edges with Antique Linen. And a small Tute!! Cant say it a tutorial, jus showing you the measurements i used. 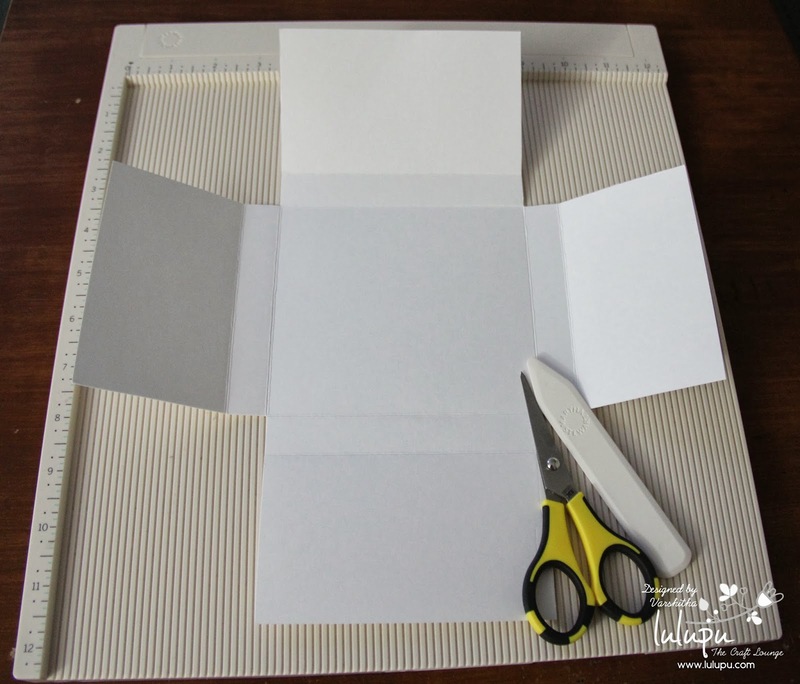 Fold and Crease it well. And you are Done. Here are the measurements for scoring and cutting. Hope this will make it clear for you.